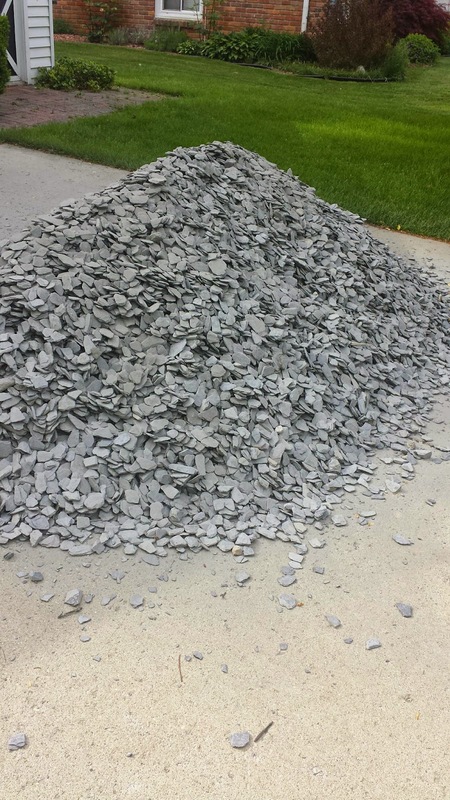 Actually it's two tons of slate scape rocks. We had it delivered from the local landscaping shop, and I always hate guessing if I ordered the right amount. Both Brian and I commented that we thought there would be more. I guess will find out soon. We did -as a family- I may add, Ellie had her own little hand shovel, start spreading rocks. I would say we're about 1/2 done with still about 2/3 of the rocks left, so hopefully we will have plenty? !